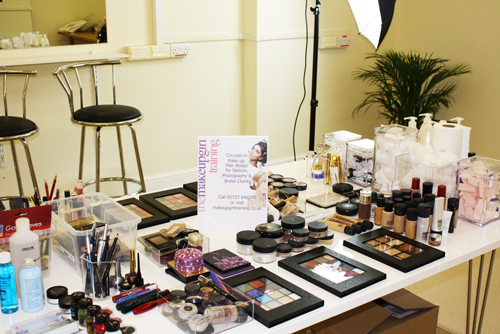 We are pleased to announce the opening of our Make-up Studio on London Road- St Albans! This week (11th – 17th April) Shahnaz is teaching a 1 Week Intensive Make -up Diploma designed specifically for those who wish to become fully qualified make up artists. Week commencing 18th April 2hr slots are available for One-to-One Make-up /Styling lessons, these are designed for everyone and anyone who wants to understand make up application. Day and party make up is covered during this tutorial as well as eye lash application!